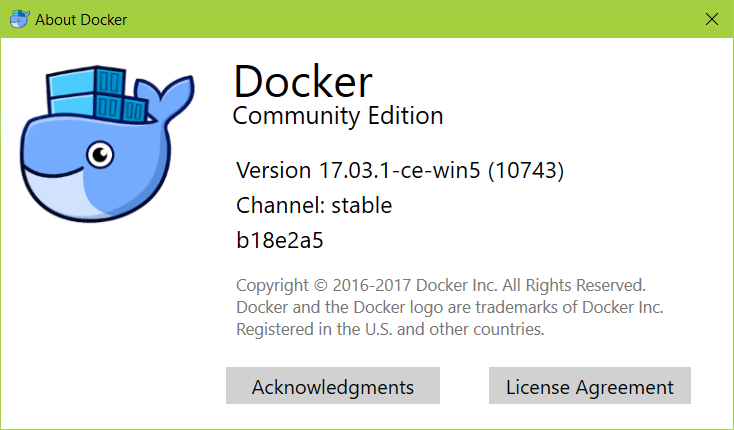 The last couple of months I wanted to play around with Docker for Windows. It worked just twice. Once at the first try for just one or two weeks. 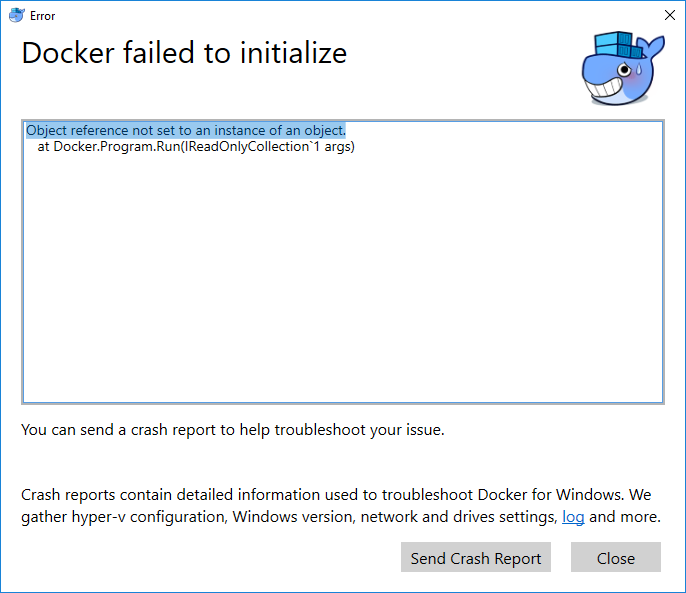 Then I got an error, when Docker tries to initialize right after Windows starts. After I reinstalled Docker for Windows it runs the second time for a two or three weeks. I tried to reinstall all that stuff but I didn't get it running again on my machine. [21:49:38.669][GUI            ][Error  ] Object reference not set to an instance of an object.